Enjoy a suckling pig roast for up to 8 guests for $365. The meal includes a selection of appetizers, a whole roasted suckling pig with side dishes, and dessert. Beer, wine and whiskey pairings are available upon request. View details here. Looking for a truly memorable night out? 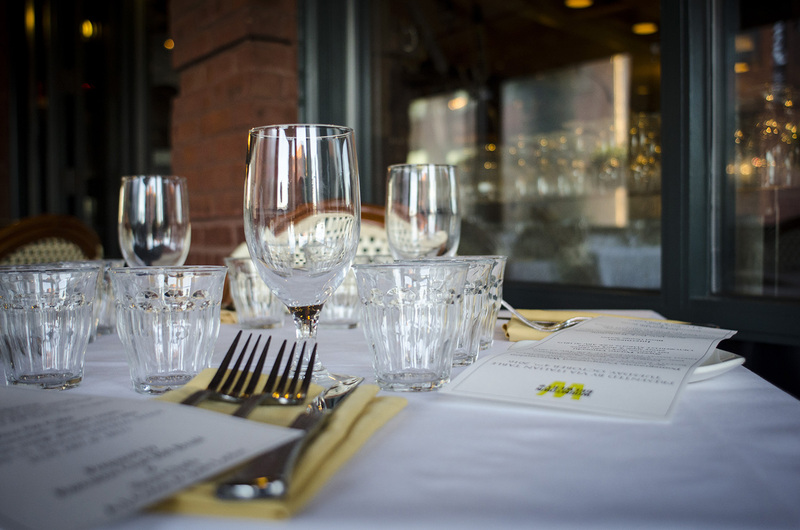 Experience one of VIA’s specialty dinners consisting of a multi-course menu of assorted food specialties thoughtfully paired with wines or beer selections (depending on the event). Click here for 2019 dinner schedule. VIA is the place to be for Sunday brunch. Amazing breakfast and lunch menu, including brunch cocktails. Served 10:30 am until 2:30 pm. See Sunday brunch menu. “We had so many inquiries about bringing our food to offices, team sports events and at home parties that we decided to go for it and in a big way,” said Caitlyn Carolan. Read more. Ditch the wrapping paper this holiday season; instead of splurging on a highbrow bottle from the ritziest package store in town, consider offering your loved ones a distinguished dining experience instead. Read more.